Any corporate expert will tell you reactive decision-making is bad. It keeps you perpetually in crisis mode, which doesn’t help your work-life balance. Constantly putting out fires directly affects job satisfaction and turnover. However, there are situations where a microdose of reactive response can be a good thing. When one of your team members finds themselves in a tight corner, they need to know they can get help. When they observe a specific weakness in their skill set, you don’t want them to panic. You want them to feel secure that the company will help them fix it. 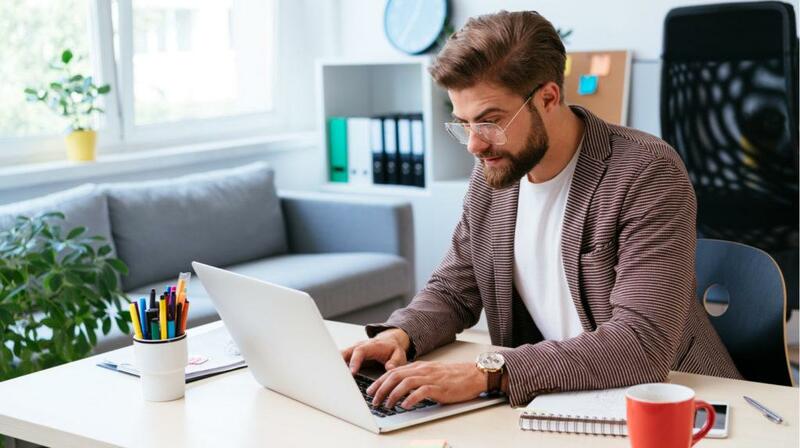 Here are 6 Performance Support Tools that can help your employees on the spot, but may be missing from your online training library. When we’re little, we think our elders know everything. We trust our teachers, parents, older siblings, and adults in general. But with time, we stop asking for help because it makes us feel inadequate. Society shames us into silence. This can extend to the workplace, where we cover up our mistakes to avoid looking incompetent. Offer discreet assistance. A self-assessment allows employees to pinpoint the exact areas where they need help. They can then zone into an online training session that will polish their skills. Give them the option to either use their log-ins or to access the online training course as an anonymous guest. They may be scared that their weakness will be used against them later. Simulations are a good way to target specific skills and are often used as Performance Support Tools. They could be something general, like ‘How to get over imposter syndrome’. They could also be more specific, like ‘How to spot, approach, and convert business prospects’. Offer simulations in various formats so that corporate learners can find the approach that works best for them. Some people are text-based learners. They prefer to read the instructions on any new device. Others are good at memorizing lines. For this type of corporate learner, a typed script they can read and cram is helpful. They can download or print it, and practice it by rote. Other corporate learners would prefer a video demo or an interactive session in video game format. When you ask an adult what they wish they’d learned in school, they’ll always mention soft skills. This is practical knowledge in successfully interacting with fellow human beings. It can be as simple as getting someone to agree to a date or as complex as negotiating a raise. In the workplace, you can develop online training modules that help your employees engage clients, colleagues, and peers more effectively. Online training sessions may include active listening, corporate diplomacy, problem-solving, diffusing tension, or effective bargaining. They help your team do their jobs better, boost their confidence or add value to their lives in general. You know that situation where a customer demands to speak to the manager? It can dip your esteem and cause intense anxiety. What if you could give your employees emergency sessions to resolve such crises? Include micro-modules that employees can use in the middle of a sticky situation. Say a customer demands their money back or makes a personal attack. The customer might challenge a team member on the basis of age, race, or gender. An elderly client might suddenly collapse or a baby won’t stop crying. These situations can cause stress levels to rise. Program specific emergency lessons into your LMS. They could be 30 seconds to two minutes of ‘What to do if XYZ happens.’ This will diffuse a lot of do-or-die situations, both for customers and employees. It’s difficult to memorize everything about your products and services, including their features, benefits, and specs. But you can give employees all the information they need through bite-sized Performance Support Tools. Infographics offer them a quick snapshot of the product while still imparting the key details. You can also use infographics to improve task mastery by breaking it down into steps, paired with images and brief explanations. The secret to creating memorable infographics for performance support is to keep them topic-centered. Don’t try to cover too much at once, as this can lead to cognitive overwhelm. Instead, concentrate on specific skills, ideas or online training challenges, and offer a complete overview. Mandatory compliance online training can be boring and tedious. However, you can incorporate brief video demos into your online training library to improve participation and engagement. Employees are more likely to access these compliance Performance Support Tools if they aren’t being forced. Especially when they address a specific challenge they are currently facing on the job. For example, they don’t remember how to properly handle hazardous materials. Or they need some help with a particular company policy that pertains to customer returns. A video demo shows the compliance issue in action so that they can mimic the steps or behaviors. The main benefit of personalized online training is its accessibility. Anytime a corporate learner needs to, they can log in and find the exact online training module they require. This offers support in crucial moments and eases their work-based pressure. Your employees can assess themselves to see the areas where they need help, then use simulations to enhance performance. If they prefer to learn by reading, they can memorize written scripts. They can target specific soft skills, like active listening or negotiation. They can even access emergency support right in the middle of a crisis. Performance Support Tools help your team feel they’re not alone and that you’ve got their back. This improves morale, enhances results, and boosts the company’s bottom line.